The Southeast's Premiere Wedding Cinema Studio. 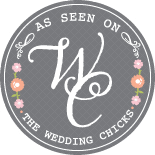 Needle & Thread is one of the South's best wedding cinematography studios. Yeah, we just tooted our own horn. We are a community of film makers dedicated to making wedding films that let everyone know how much fun you had at your wedding. "Sorry you couldn't make it Great Aunt Philbert! You can watch our rad wedding film!" That was you, telling Aunt Philbert what's up. You're welcome! This is gonna be fun! We asked out couples to tell us what they loved about us. This is what they said!